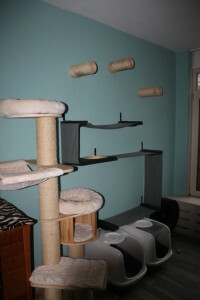 My name is Ivonne van Dreumel and since 2004 owner of Bengal cats. I live in Drunen which is in the southern part of the Netherlands. Since 2004 my addiction for Bengals started and in 2006 I started breeding with the bengals. 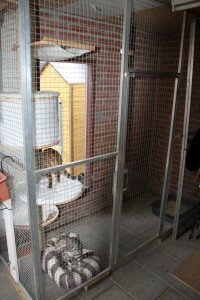 On the picture below the double kitten cage which is in one of the nursing rooms. 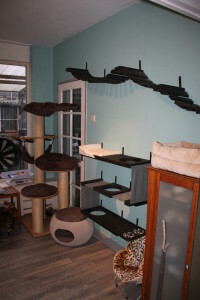 The pregnant mothers are staying in the nursing room from the 7th week of the pregnancy and when the kittens are around 5 weeks they move to the livingroom area. 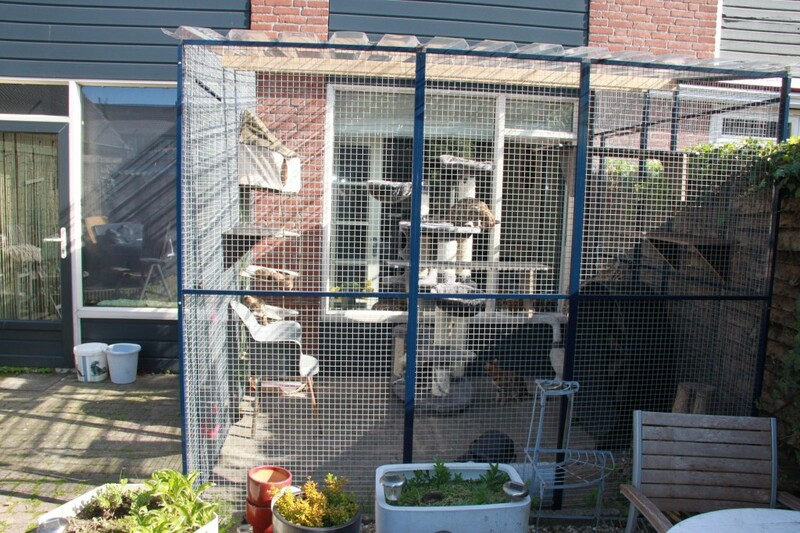 On the pictures below the new separated area in the livingroom which is connected with the outdoor run. The area can be open or closed with sliding glass doors. 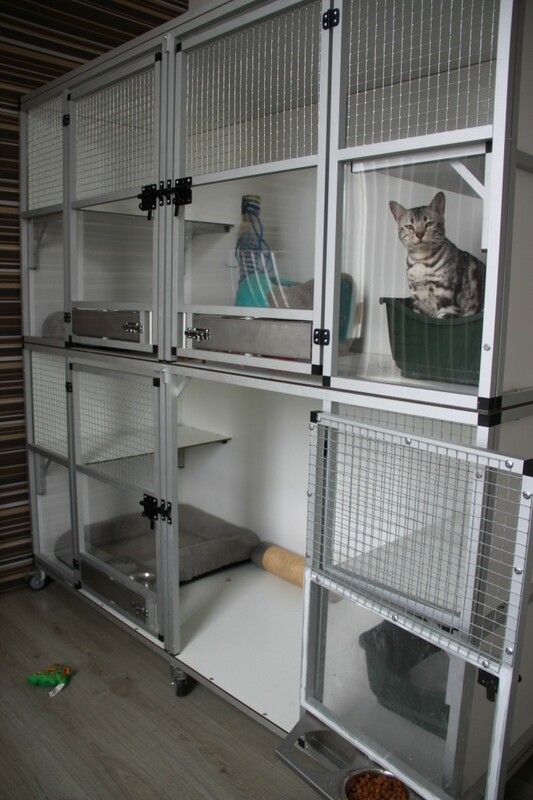 Goals of my bengal cattery are health, character and trying to keep the wild look of the cat. Priorities are “no rib bars” and “rosettes”, “a strong and energetic but elegant cat”. The most important is to reach this goal by working together with other catteries. Regularly there are kittens born and raised in the house. Socialization is something which I find most important, and therefore a lot of time is spend on this during the time the kittens are living with me. Next to it I find it important that there is a match between the future owners and the character of the Bengal cat. In case you have any questions about the Bengal cat or if you are looking for some information, please contact me. I love to answer your questions.